The large water pond is the property of Walt Disney World, and it is a man-made lake created in 1971, the same year the giant Theme Park opened to the public on October 1, 1971. The purpose of the lake is twofold: Early on it was designed to allow guests to surf on artificial waves. That plan was quickly put to bed and now it is mainly used for recreational boating and to transport guests via Disney’s large ferryboats. 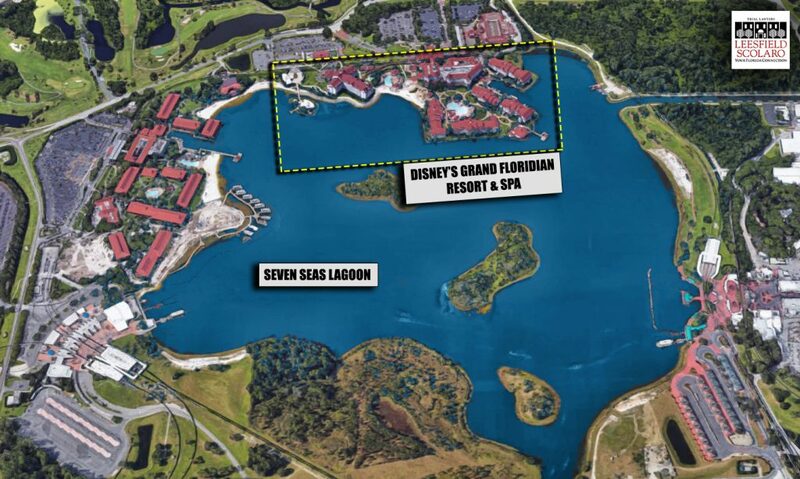 The lines have been drawn and undeniably Disney knew full-well alligators are living on their property and that they particularly enjoy freshwater lakes such as the Seven Seas Lagoon. On the same level, Disney cannot deny that guests have reported dangerous run-ins with alligators living in the lagoon, including dangerous close calls that could have ended in massive injuries or even death of one of their guests. In Florida, liability stemming from the attack of an animal is clear. If a domestic animal, such as a dog, attacks a guest, the dog owner is strictly liable for the injuries their dog caused. In cases where a wild animal, such as an alligator, injures a guest, the law is just as clear: If the wild animal made its way on a property, unbeknownst to the property owner, and an attack ensues, the owner will not be held liable. Florida has determined that no person shall be held liable for the actions of a wild animal, especially if the animal is not in captivity. Another theory will be used to hold Disney liable in this instance. The Florida Supreme Court has recently affirmed in Dorsey v. Reider, that “When a person’s conduct is such that it creates a “foreseeable zone of risk” posing a general threat of harm to others, a legal duty will ordinarily be recognized to ensure the conduct is carried out reasonably.” In other words, if a person creates a situation that places others in a foreseeable zone of risk for harm, and an injury is then sustained which is the specific type of harm that the situation created, that person is liable. Disney created a highly foreseeable zone of risk when it created the lagoon in 1971. Not only did Disney create the zone of risk, it knowingly maintained it, and monitored the presence of alligators in the lake, making it a zone of risk. From what we know about the Seven Seas Lagoon, and the reports to Disney management about alligator sightings in and around the lake, it is established that Disney knew alligators live on their property, specifically in said lake. To assert that the presence of alligators in a lake that borders beaches around it with bungalows and white sand did not constitute a foreseeable zone of risk to guests is to suspend common sense and elementary knowledge of nature and wild animals’ propensity to harm humans. Beyond any doubt, once Disney created the lake and obtained the knowledge that alligators lived there, it had the duty to carry out its conduct reasonably. In plain English, this simply means Disney was required to exercise prudent foresight. This core legal duty imposed upon Disney required that it exercise reasonable care, and warn others of the zone of risk. Fast-forwarding two years, should this week’s incident go before a jury, the central question asked of jurors will be to determine whether Disney exercises reasonable care toward its guests. From Disney’s own admission, the only warning signs posted at the resort, that the 2-year-old boy’s family may have seen prior to the incident, was a “No Swimming” sign. The general public generally associates “No Swimming” signs to the absence of supervision such as a lifeguard. Few if any will deduct that you should not swim because you might be attacked by a giant reptile measuring between 8 and 11 feet and weighing nearly half a ton. It is our view that jurors will find that Disney fell woefully short of its duty and will ultimately be found liable for this avoidable incident.